QAHN is pleased to announce that the 2016 Richard Evans Award has gone to the Sherbrooke-based not-for-profit organization Murales Urbaines à Revitalisation d’Immeubles et de Réconciliation Sociale (MURIRS). Founded in 1999 by Serge Malenfant, M.U.R.I.R.S. unveiled its first large-scale outdoor mural, featuring historical themes from Sherbrooke’s past, in honour of the city’s bicentennial, in 2002. Over the years, 13 more large murals followed. In 2015, 10 more murals, this time smaller in scale, and based on the history of Lennoxville, were added. Since it was founded, M.U.R.I.R.S. has worked closely with the City of Sherbrooke, the Société d’histoire de Sherbrooke, the Lennoxville-Ascot Historical and Museum Society and the Borough of Lennoxville, to create dynamic, colourful tableaux of aboriginal, pioneer, nineteenth century and twentieth century life, reflecting the economic and cultural development and changes in the city. Many of the murals depict real historical figures and events; and a number of them are reflective of the English-speaking community of Sherbrooke and Lennoxville. Various local artists have submitted ideas for Sherbrooke’s murals, adding an element of artistic diversity and exposure to the project. The murals have become widely known and are a major stimulus to the tourism industry of the area. 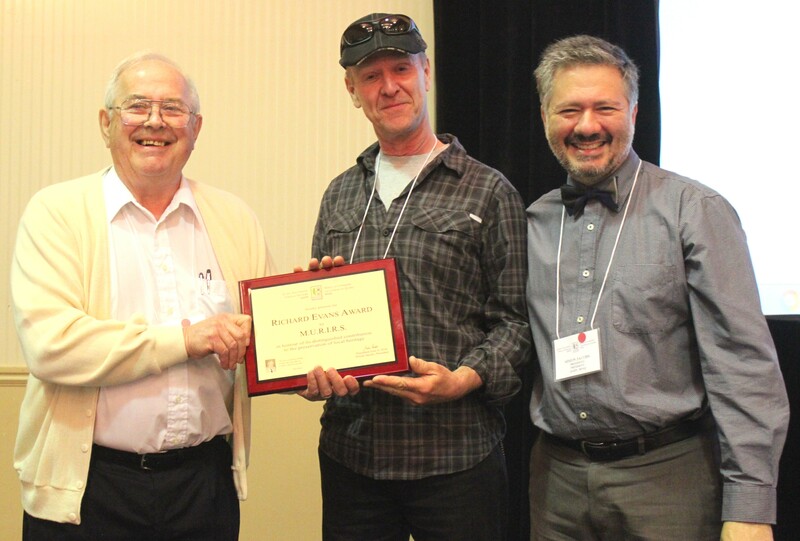 The 2016 Richard Evans Award was presented during the 16th annual convention of the Quebec Anglophone Heritage Network, which was held in Sherbrooke. Accepting the award on behalf of M.U.R.I.R.S. was Serge Malenfant, the organization's founder and president. Malenfant, who led conference attendees on a personal tour of some of downtown Sherbrooke's most stunning murals, said that he was "pleased and honoured" that his organization was receiving this recognition.